If indie thrillers with big ideas are your thing, you won't be disappointed by Nathaniel Atcheson's Domain (review). The movie unfolds after a flu decimates most of the human population and focuses on a group of 7 individuals who were lucky enough to be randomly selected to inhabit one of the half a million bunkers built by a company called Survival Technologies. By the time we meet the survivors, they've been living in these pods for a while and the relationships are starting to show wear and we get to watch as things start to fall apart. 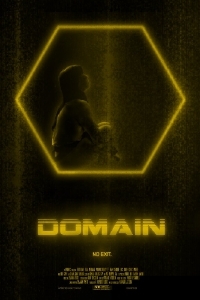 I really liked Domain when I saw it last year and it's one I would definitely recommend, though I urge you to avoid reading too much about the movie, it's one that is best seen with little advanced knowledge and you'll have a chance to see it, very soon! Domain will be hitting theatres on September 28 with a DVD and VOD release to follow on October 2.